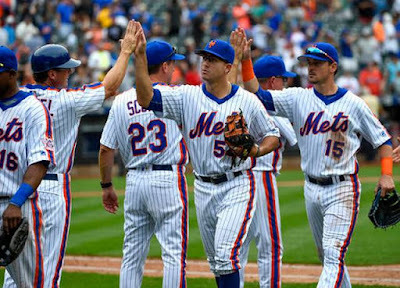 Sunday September 18th 2016: Terry Collins Mets (80-69) went into todays game looking for a sweep of the Minnesota Twins, who are in tough times trying to avoid a 100 loss season. The Mets need to take advantage of the struggling teams if they are going to get to the post season. This game was a squeaker, but the Mets pulled it out with a 3-2 win in front of 28,926 at Citi Field. It's been a crazy injury plaque season for the Mets & to have this team in the playoff hunt atop the wild card race is Amazing itself. Today saw Lucas Duda make a return to action after four months & Juan Lagares make an appearance after missing almost a month of time himself. Another almost unknown pitcher took the mound today and keep the running joke of "who's the new guy pitching for the Mets today? It doesn't matter they won again"! Or "Who's playing in the Mets infield today? It doesn't matter they won again. So who would be today's heroes? It doesn't matter they won again! Quotes: Terry Collins- "Put it this way: I think winning's contagious. When things are going good, guys want to be a part of it." 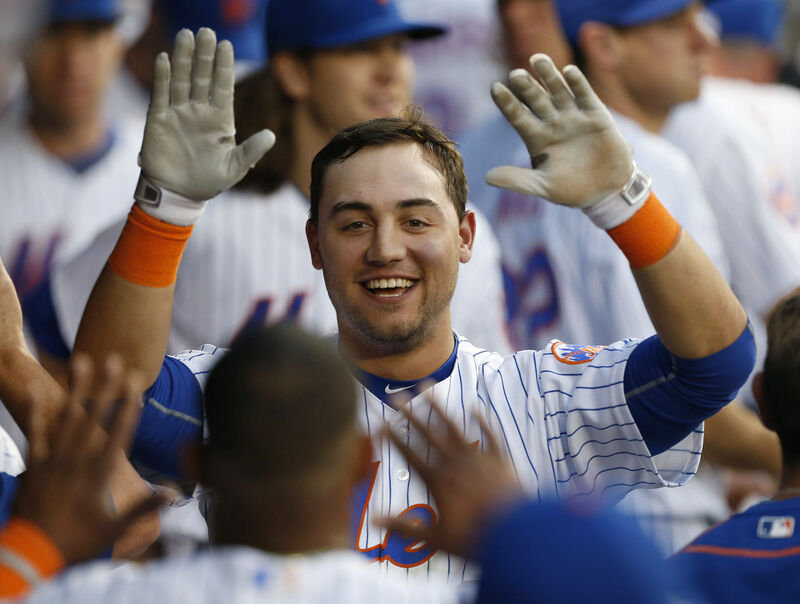 These Mets have now won three straight, eleven of their last fourteen and going further back on this excellent run, twenty of their last twenty seven. Terry Collins used six pitchers today with Gabriel Ynoa making his first career start allowing just one run in 4.1 innings while striking out an impressive eight. 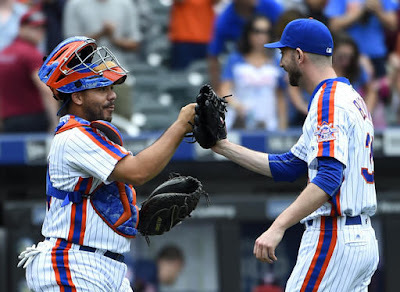 Out of the pen it was, Josh Edgin, Eric Goddel, Josh Smoker, Fernando Salas & then Jerry Blevins earned his second save. 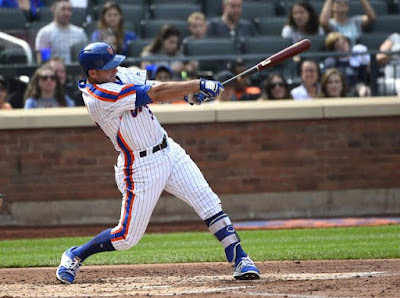 In the 1st inning, it was the forgotten Michael Conforto delivering a two run single scoring Alejandro DeAza & T.J. Rivera who continues his hot hitting. In the 3rd, Rivera hit his second HR of the year a solo shot that ended up being the game winning run. With the San Francisco Giants losing to the St. Louis Cardinals again the Mets are now atop the wild card race for the first time this season. Note: Yoenis Cespedes was removed from the game after feeling dizzy but is expected to be ok."Cespedes came up and said he just got sick in the runway and his legs were getting a little weak, he was getting a little dizzy, so I took him out," Terry Collins said."